I’m not telling you to be a hermit, but you don’t need to say “yes” to another beer at a bar when you’ve already had a couple. You don’t need to go out for lunch or happy hour day after day. 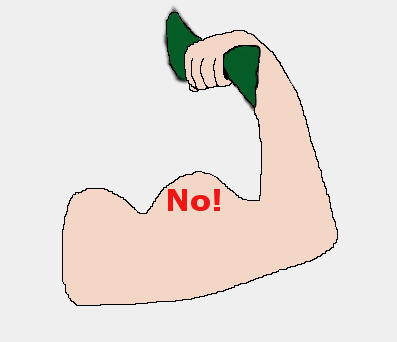 It is really OK to say “no” sometimes and it can be a huge money saver. Be social when it makes sense to, but you don’t have to be social constantly if it is costing a lot of money! Also, you can suggest doing things that are free or inexpensive! Sometimes it isn’t always everything or nothing either. Frequently people will hang out and do more than just one thing in the day. If you turn them down for something that isn’t worth the cost, you might still be able to hang out with them before or afterwards. Just give some thought to what is actually worthwhile. You don’t need to add some insurance on your phone or upgrade your data plan. You also probably don’t need to supersize your fast food meal – I know that isn’t really a thing anymore. There is a whole lot of crap in this world and a lot of people trying to sell it to you. There are too many party sales, fundraisers, multi-level marketing schemes, etc… to try to start listing them all. A lot of the stuff bought in these things are nowhere near worth the price you’re going to pay for it. If you decide something is worthwhile, you can go for it, but don’t let guilt be a motivator. Here’s another thing – if something is being done as a fundraiser, you can probably directly donate to whoever is doing the fundraiser instead. They’ll get more out of it and you won’t get something you don’t need. Kids are another area where I’d assume it is important to learn the word “no.” I don’t have kids so I don’t have personal experience with this, but I think saying “no” to kids is important. Just like you, they really don’t need everything they want. You can and probably should say no to them too sometimes. And if they really want something, maybe they can save money they make from chores or earned allowance. Again, no kids for me, so I don’t know how hard it is to say no to them, but I do know that it probably wouldn’t hurt some parents to say no a little more often. Again, I’m not saying that you should never spend money on anything ever or just say “no” to everything that might cost money. However, saying “yes” all of the time is going to cost you money that really isn’t worth spending. It isn’t really complicated, but isn’t always easy. It might sound negative, but it is completely true – learn to say “no” and you can guarantee to save yourself a little bit of money.